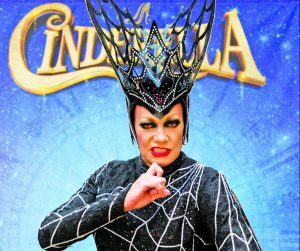 FOR Craig Revel Horwood, taking on the role of a panto villain in the form of the Wicked Stepmother is simply a return to his roots. Now famous as a judge on TV favourite Strictly Come Dancing, he says he’s simply revisiting a style from early in his career when he first performed drag in the clubs. Now aged 53, the Aussie-born star reckons he tries his best to keep in shape – even at Christmas. “You have to look after yourself, as you can’t go off partying the whole time,” he says. “But panto is fantastic, it keeps me thin all the way through Christmas. “Also, I love it because it’s an introduction for children to live theatre and, as live theatre is my passion, I really encourage that. It also teaches children generally about theatre, which I think is the most important thing about doing panto. Last year, in addition to panto, he appeared in Annie, recorded the voice of supercilious snake Cornelius – for new animated series Sadie Sparks – and resumed his role on national favourite Strictly, a job he’s had since the first series in 2004. Despite his reputation as a brutal judge, he adds: “Seeing people who’ve never danced before realising that dance can actually be taught, and just seeing the enjoyment that people get out of it is great. Having worked as a dancer, choreographer, theatre director, TV judge and panto star, Craig is a popular figure but claims being in the public gaze is not something he generally enjoys. On top of all this, he choreographed the final scene of the Paddington 2 movie, is to make his film acting debut in Nativity Rocks and has been playing Miss Hannigan in Annie in the West End. His stint as the Wicked Stepmother in Cinderella at the New Victoria Theatre, Woking, begins on Friday 7 December and continues until Sunday 6 January.